Transform, co-create and become the magician of your own life. The First Light Porta Alchémica® range is the dynamic re-contextualisation of the ancient Hermetic alchemical tradition. It returns the ancient orgins of alchemy using the power of Egyptian heka, tchefit plants and magical ritual. 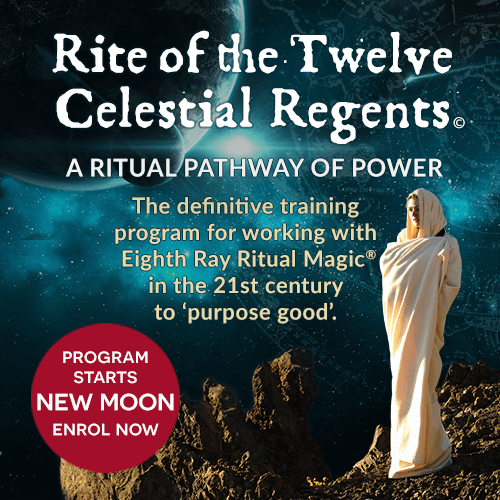 Here you will find the teachings necessary to unlock your inner alchemist and work alchemically in the 21st century. Transforming and co-creating the life you want is as simple as ABC with First Light Porta Alchémica®. Unlock your inner alchemist in a natural process using the First Light Porta Alchémica®range like building blocks. Choose any of the ways of working below or use a combination of all five. 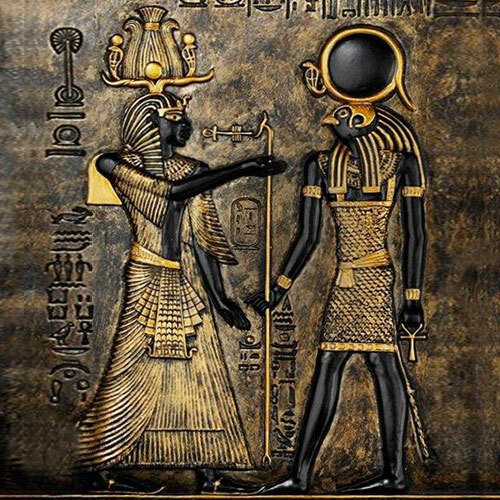 Goddess wearing the double feathered Shuti crown (signifying divine law) with Horus, egyptian stele relief. A: Planetary Elixir: Choose 'What' you want in life. What do you want to create, transform, do or bring into your life? B: Zodiacal Elixir: Choose 'How' you want to express. What quality or mode of expression do you want to bring into your life? C: Mansions of Life Elixir: Choose 'Where' you want to focus. What area of your life do you want to focus on and bring more energy to? D: Anointing Oils: 'Attune' to the heavenly powers. Create a powerful magical focus for your intention or desired outcome. E: Ritual: Use 'Ritual' to empower the manifestation process and bring about the transformation you desire. Use the Porta Alchémica® Flower of Venus Ritual© to empower the manifestation process and bring about the transformation you desire. A ritual state of mind and the power of your own intent and focus brings you into alignment with the cosmic power of heka. Heka is the Egyptian word for 'magic' and was understood by the ancient Egyptians as the energy which makes all creation possible. 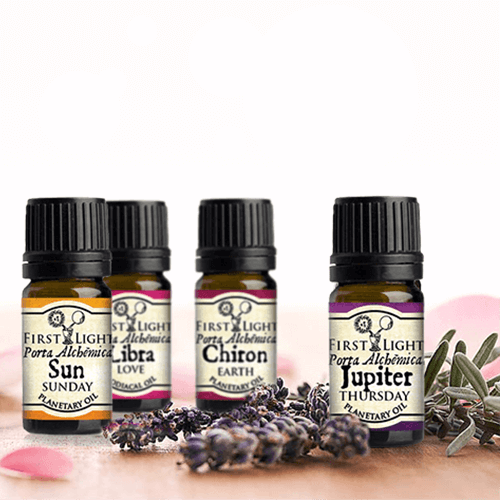 First Light Porta Alchémica® elixirs are highly concentrated pristine vibrational formulations containing special combinations of energies from plants, planets, stars, gems and minerals prepared and made in the traditional alchemical way. They are an essential integral part of the modern day alchemist’s toolkit. Porta Alchémica®elixirs - the modern day alchemist's toolkit. Use the Porta Alchémica® Planetary Elixirs© to choose 'What' you want in your life. Use the Porta Alchémica® Zodiacal Elixirs© to choose 'How' you want to express. Use the Porta Alchémica® Mansions of Life Elixirs© to choose 'Where' you want to focus. Directions: Place in your chalice or take 3 drops 3 times daily under the tongue. Use magical ritual to empower your alchemical intention and story. 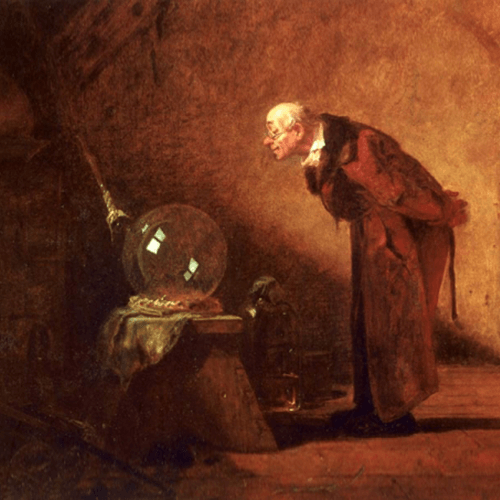 Magical oils are one of the foundations of alchemy. Alchemists have applied the secrets of ‘scent magic’ and utilised the powers of fragrance for thousands of years. By working magically and ritually with alchemically prepared blends of essential oils they opened the alchemical door to the powers of celestial bodies. 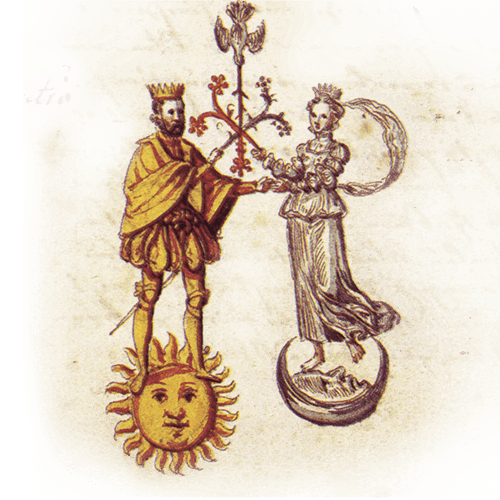 This enabled them to attune to the powers of the heavens and to concentrate their alchemical focus of attention to the degree necessary to carry out the alchemical Magnus Opus – the Great Work. Porta Alchémica® anointing oils to attune to the powers of the heavens. The Porta Alchémica® anointing oils work to create a powerful magical focus for your intention or desired outcome. Use them to open the alchemical doorway to celestial power, to open up magical pathways and to define your specific intent and desired focus. 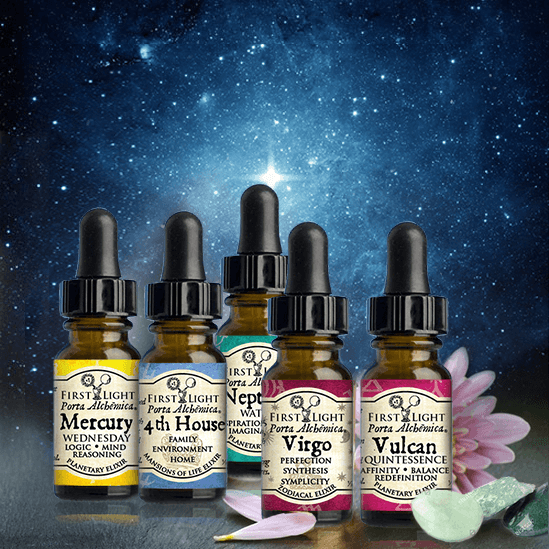 Each 5ml bottle contains a signature gemstone in a quintessential blend of pure essential oils infused with gems, colour and potentised using ancient alchemical techniques. Directions: To attune to the celestial powers of choice or as part of your daily alchemical ritual place 3 drops on wrist, rub wrists together and inhale the fragrance deeply. 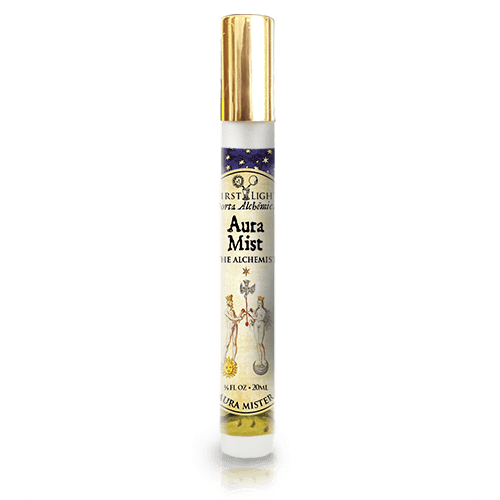 The alchemist’s Aura Mist contains an archangelic and quintessential aqueous blend of New Zealand flowers, rose quartz, the rainbow spectrum and pure gold leaf synergistically combined using ancient alchemical procedures. Use to suffuse and hermetically seal the alchemist’s alembic, the aura, with the alchemical dew of heaven. Directions: As part of your daily alchemy ritual, spray the aura mist 3 times in the shape of a triangle: above the head, then above the right and left shoulder to lock in your intent and the energies and powers you wish to express or make manifest.